External Counterpulsation Therapy (also known as ECP or EECP) is a safe, non-surgical treatment procedure that delivers great clinical benefits to patients with symptomatic coronary artery disease. External Counterpulsation Therapy has been around for decades dating back to the orginial research at Harvard in the 1950’s. The initial use of External Counterpulsation Therapy in the U.S employed a hydraulic mechanism that was later revised in China with today’s standard of inflating air (pseumatic) in a sequential format. External Counterpulsation Therapy is FDA approved for the treatment of Angina Pectoris from Coronory Artery Disease. External Counterpulsation Therapy is growing in popularity due to the treatment being a low risk, non-surgical treatment at a fraction of the cost of other traditional invasive procedures. In fact, ECP and EECP Treatment is proven to be a lower cost option for Medicare and private insurance. The concept of External Counterpulsation Therapy (ECP and EECP) is quite simple when you think of the natural progression of heart disease. Over the course of the aging process, people typically become less physically active resulting in a weaker heart muscle while simultaneously increasing blockages in your blood vessels leading back to the heart. In response, your naturally copes with this change by growing tiny collateral blood vessels in attempt to assist the area of the heart that is (slowly) losing access (flow) of oxygenated blood. The problem with these collateral vessels is not that they do not exist, but rather they never get a chance to properly develop (open up to deliver blood to that part of the heart muscle). This lack of development (opening up for oxygen delivery) occurs because most people become less physically active with age. And that is where External Counterpulsation Therapy can be an ideal supplement. The mechanical process of External Counterpulsation Therapy augments the body’s natural circulatory process. The pressure is created by inflating a series of cuffs (similar to blood-pressure cuffs) that squeeze the extremities (calf’s, thighs, buttocks) forcing blood back up to the heart on each heart cycle. 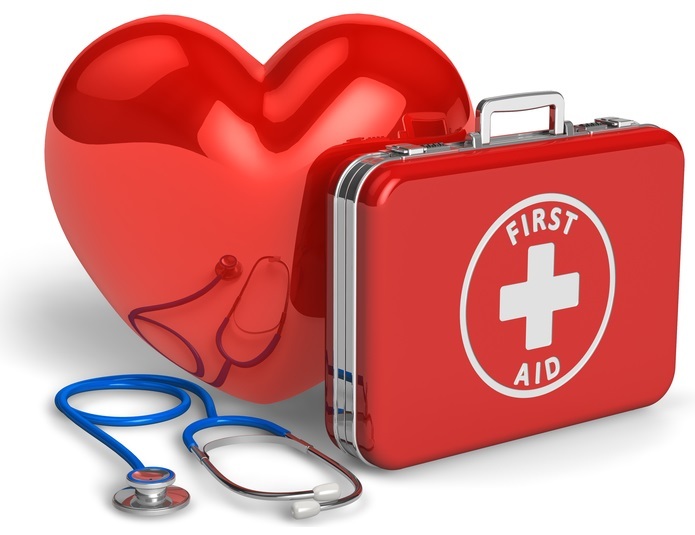 This process ultimately restores (by force) sufficient blood flow to parts of the heart that is lacking oxygen. 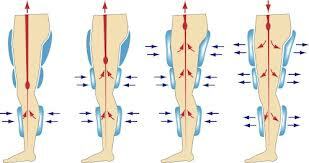 The treatment process generally spans for a period of 1 hour each day for a period of 35 total treatments. ECP Treatment is proven to develop existing pathways of oxygenated blood back to the heart muscle. In other words, External Counterpulsation Therapy restores pathways for adequate & necessary blood flow back to heart through vessels that already exist! It would be like adding extra lanes on a congested highway with land that already exists. All the the vehicles can transport its valuable contents (oxygenated-nutrient-rich) to the necessary location with much less congestion. This process can also be compared the benefits to intense (and consistent) exercise for a period of 2 months! When you are out of shape, it takes hard intense exercise to strengthen the heart and reduce oxygen consumption so your body is capable of performing more physical activity with less demand (fatigue) on the heart muscle. Every doctor on earth knows that exercise is the key to long term health. Much of the effect of exercise is the process of consistently delivering oxygenated blood (with significant force) to every vital functioning organ in the body. It is this one function that every doctor on earth (across all specialties) will be in unanimous agreement. Does this sound too good to be true? Well, good news is that everything described above is absolutely true. The benefits of External Counterpulsation Therapy are proven by over 190 clinical studies in credible US physician review publications. 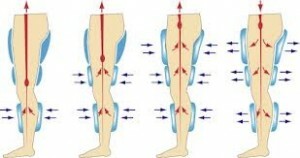 For a more details, you can visit the Clinical Analysis or FAQ sections of ExternalCounterpulsation.com. EECP is a unique Cardiac Therapy that delivers great benefits beyond the heart. The physical mechanism of External Counterpulsation Therapy delivers oxygenated blood to every vital organ of the body where blockages may exist. For instance, the arteries leading to your lungs, kidneys, liver, brain, and to those in your outer extremities. This mechanical force of increasing oxygenated blood flow has documented proven improvement in patients with diabetes, vascular erectile dysfunction, Alzheimer’s, Parkinson’s disease, peripheral vascular disease, movement disorders, kidney dysfunction, memory loss, stroke, diabetic retinopathy and dementia that is vascular in origin. Download your FREE patient brochure!